If you’re having a builder construct your custom built home you will be making plenty of decisions when choosing amenities and finishes. One of these is plumbing fixtures for your bathrooms. In recent years new technologies have allowed manufacturers to produce plumbing fixtures that are not only beautiful but are also durable and long lasting. They have also added an array of countless new designs and finishes. Styles. The market is rich with choices, from antique and rustic to modern and sleek and everything in between. There are plenty of choices to match just about any home décor. Consider the design and size of your sink when choosing a sink faucet. 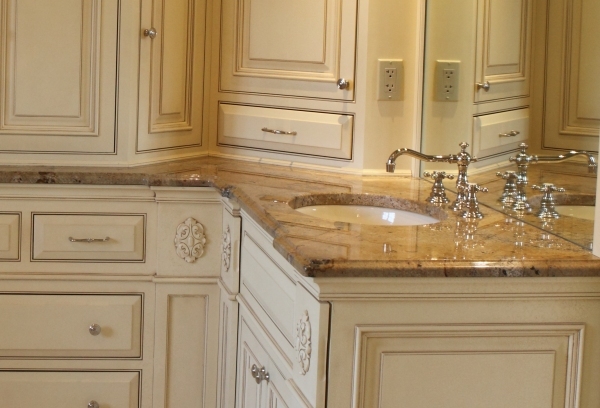 Most plumbing fixture manufacturers categorize their products into style lines that will help you match plumbing fixtures with any type of sink, tub or shower. Use pre-matched ideas to show you what plumbing fixtures would look best in your space. Handles -single or double handles. For double handles choose either lever handles or cross handles. 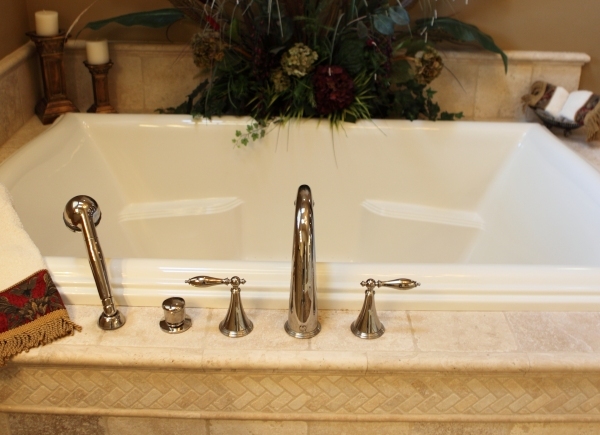 Tub and whirlpool faucets (tub fillers) come in as many designs and finishes as sink faucets. 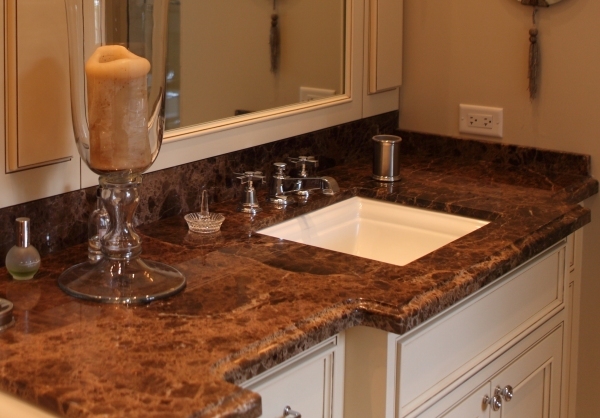 It’s recommended that your sink and tub faucets come from the same designer lines and matching finishes. Shower heads come in all shapes, sizes and options, they include single or multi-function units. 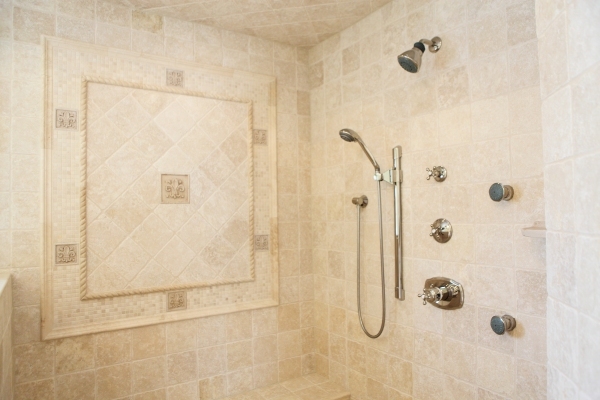 Single function units provide a straightforward shower and are usually easier to clean. Multi-function shower heads come with a variety of settings (examples include wide sprays, concentrated sprays and massage sprays). Hand held shower heads, rain heads and wall mounted body sprays also offer a wide range of innovative functions, styles and finishes. Choose fixtures that are constructed with metal internal mechanical working parts. These will be a bit pricier than plastic parts, but will give you many more years of reliable service. The highest-quality fixtures are made with solid forged or machined brass, which will last the longest and require the least care. Cast brass is also used, but it is not quite as durable. Proper installation is also very important and will ensure many years of dependable service. 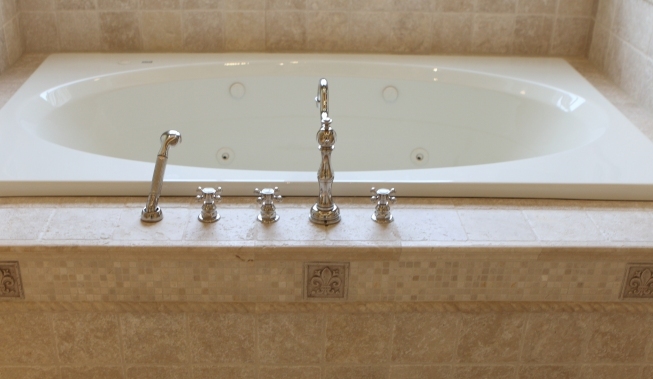 Battaglia Homes’ plumbers are licensed professionals with decades of experience. For more information about plumbing fixtures contact the home building experts at Battaglia Homes at 630-669-4280 or email us at info@battagliahomes.com. We’d love to hear from you – leave your comments below. Right now my husband and I are having our bathroom remodeled. We want to make sure we find the right plumbing supplies for our sink. As you said, it’s important to consider the type of sink and handles that you want. We will have to do some research to see which of the 4 main types would be fit our bathroom. My sister recently purchased a brand new home with her husband. 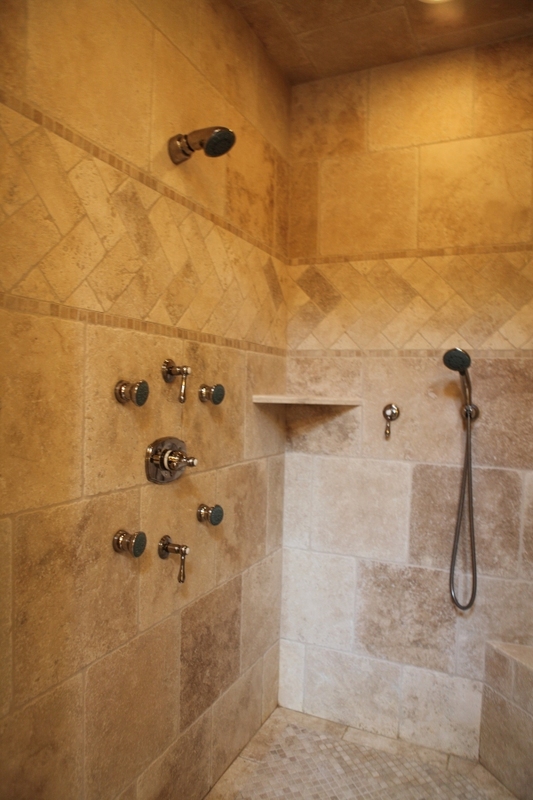 She loves the home, but she wants to have a more luxurious shower heads installed to take it to the next level. I didn’t realize how important it is to choose bath fixtures that have metal internal parts to ensure longevity without needing a lot of care. I’ll be sure to share this information with my sister.